This past weekend I braved the wanna be Black Friday that was the Lilly for Target launch. (I was not crazy enough to wait in the line wrapped around the building in the rain)! Of course I was more into the home stuff and was all about the gold and white! 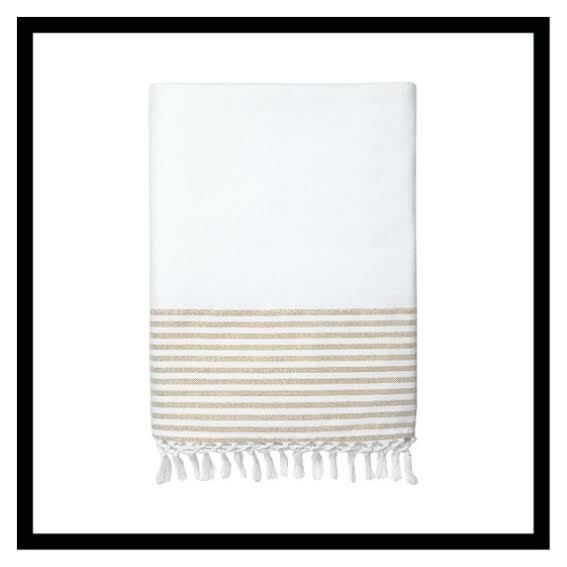 So I'm giving away one of the gold and white outdoor blankets...perfect for your upcoming picnics...or honestly..just in your house! Head over to my Instagram (@malloryshawdesign) to enter! What an amazing giveaway and how lucky that you were able to purchase this! What were the rest of your home picks that you were able to find? I got the drink stirrers, and am oddly super excited about them.